Merrimack Valley Hospital in Haverhill. Steward Health Care System yesterday unveiled its second deal in four days to buy a Massachusetts community hospital, saying it had signed a letter of intent to purchase Saints Medical Center in Lowell and convert it to a for-profit institution. But before the ink was dry, the president of a group representing about 40 primary care doctors and 160 specialists affiliated with Saints said he opposed the alliance with Steward. And the chief executive of rival Lowell General Hospital, which lost out in the bidding for Saints, said he would chal lenge the deal as state regulators review the proposed sale. The dissenting voices represent the toughest potential roadblock so far to the hospital network Steward has been assembling across eastern Massachusetts. Steward, based in Boston, was created by New York private equity firm Cerberus Capital Management to manage the six Caritas Christi Health Care Catholic hospitals it bought last year. Saints is a 157-bed Catholic hospital formed through the merger of two separate Lowell hospitals, St. Joseph’s and St. John’s, in 1992. Under Steward’s ownership, it would retain its Catholic identity, including ethical directives prohibiting procedures the church considers morally wrong, such as abortion. The letter of intent signed by Steward and Saints did not include financial terms, which will be spelled out in an asset purchase agreement the parties will negotiate later this spring. Saints, which has about 1,300 employees and nearly 400 affiliated doctors, has turned down several offers in recent years to merge with its cross-town neighbor, Lowell General. An earlier agreement for Saints to be purchased by Covenant Health Systems of Tewksbury fell through last summer. By bringing a new player into the Lowell market, Saints will be boosting competition, Guimond said. But in a letter to Saints physicians last week, Dr. Peter Gorlin, an emergency room physician and president of the Merrimack Valley Independent Physicians Association, wrote that “the Steward choice was the single worst for us.’’ Gorlin said yesterday that his organization will be meeting to consider its options in light of the Saints decision. Gorlin, in an interview, said his group’s eight-member board voted unanimously in February to support a Saints buyer that would be friendly to the group’s partner, the New England Quality Care Alliance, or NEQCA, which is affiliated with Tufts Medical Center in Boston. Two other bidders, Lowell General and Vanguard Health System, fit that bill, Gorlin said, but not Steward, which has its own doctors group. “The fundamental issue here is that we have worked for years to build a physicians network that provides a high quality of patient care and has a strong relationship with Tufts Medical Center,’’ said Gorlin. He said his group let the Saints management know about its preference. Steward spokesman Chris Murphy said his company would not force Saints-affiliated physicians to change their doctors groups and stop referring patients to Tufts Medical Center. Dr. Jeffrey I. Lasker, a pediatrician and chief executive of NEQCA, which includes about 1,500 community doctors in eastern Massachusetts, said he expects at least several dozen Saints physicians employed directly by the hospital would have to switch to the Steward doctors group. “It’s likely to be disruptive to what we’ve been doing, which is partnering with the community hospital physicians and providing programs and infrastructure and technology to help them manage the care of their patients,’’ Lasker said. 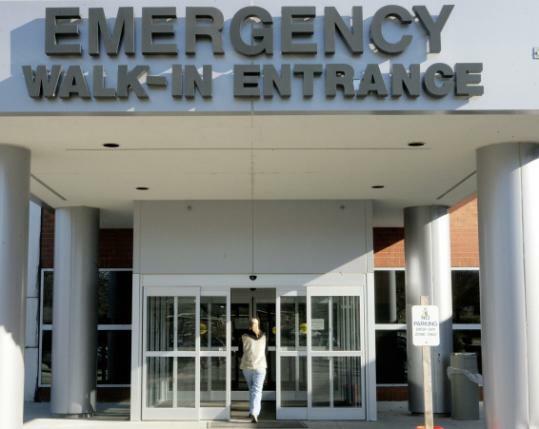 In addition to the Caritas Christi hospitals it bought last fall, Steward reached an agreement in December to buy a pair of for-profit secular hospitals, Merrimack Valley Hospital in Haverhill and Nashoba Valley Medical Center in Ayer. Those deals await approval by the state Department of Public Health, which must issue new licenses. Last Friday, Steward said it had entered into an asset purchase agreement for Morton Hospital and Medical Center, a 154-bed community hospital in Taunton. That deal and the Saints agreement would convert two nonprofit hospitals to for-profit status, a process that requires a recommendation from the attorney general to the Supreme Judicial Court of Massachusetts. Cerberus went through that same process last year when it started Steward.